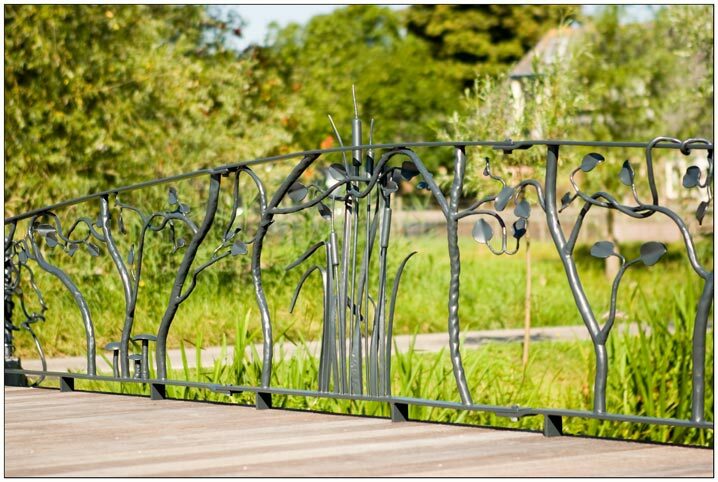 This hand forged railing is infused with natural forms. From the tree-like balusters to a frog-turned-mailbox, every little detail is hand shaped and unique. This variation is a pleasure for the eye and makes the railing a work of art. 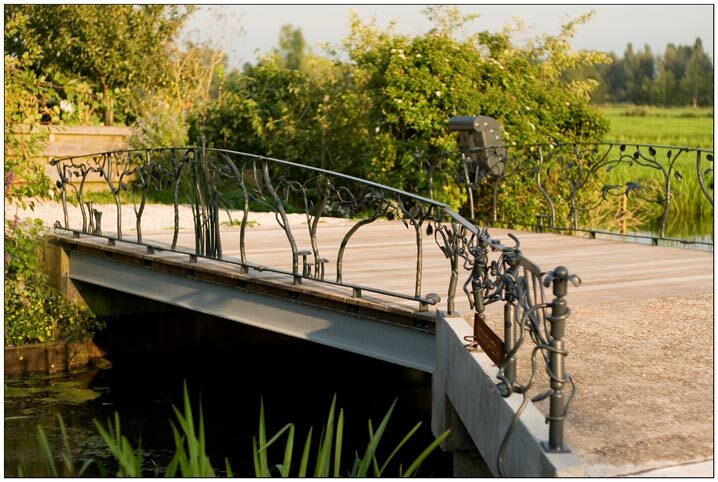 A powder coating and zinc layer make the railing durable and maintenance free. – to create a beautiful and inspiring environment. Only the mailbox is integrated into the railing. 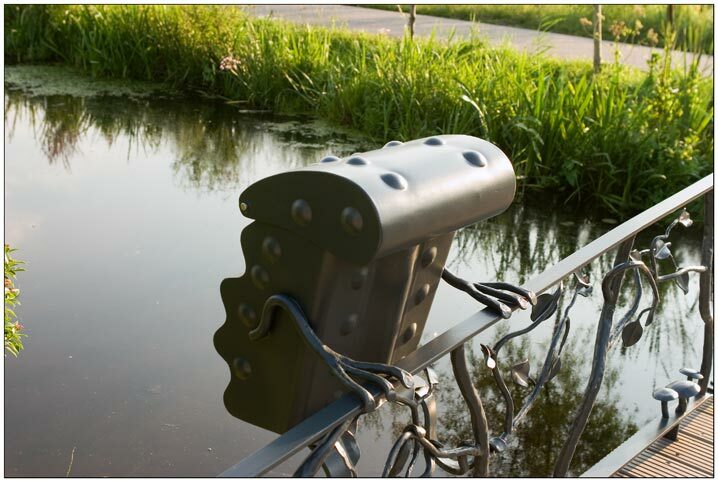 Other elements such as gates and lights can be added or existing ones can be substracted to make the railing accurately reflect your identity.